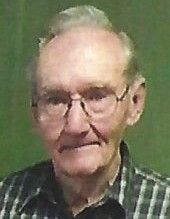 Harold John Walkenbach, 92, of Hermann, passed away on Saturday, September 15, 2018 at Frene Valley of Hermann Stonebridge. Harold was born in Hermann to William Herman and Anna (Buecker) Walkenbach on February 19, 1926 and was raised there. Harold proudly served in the U.S. Army at age 19 as an infantryman with the 10th Mountain Division in WWII, often fighting behind enemy lines in Italy. His regiment was the first allied unit to cross the Po River and the first to reach Lake Garda to cut off the Brenner Pass, which forced the German army in Italy to surrender a week before VE-day. Harold received a Purple Heart and a Bronze Star for valor during his tour of duty. After the war he returned to Hermann and was a meat cutter for over 20 years at Clover Farm Market, and several additional years at Loutre Market. He enjoyed hunting, wood working, fishing and gardening in his spare time. Harold loved to share his garden produce with friends in and around Hermann. He was a member of St. George Church and the VFW. 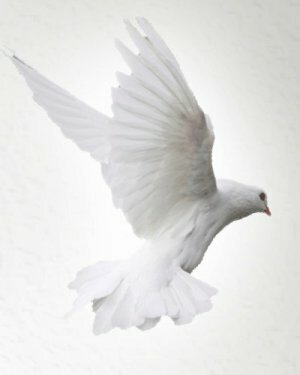 Harold was preceded in death by his parents; brothers Walter, Raymond and Herbert; a sister Laurene Montoya; a niece Susan Walkenbach Overkamp and a great-nephew, Travis Walkenbach. He is survived by a sister-in-law, Nell Walkenbach, of Hermann, by 20 nieces and nephews, as well and many great- and great-great-nieces and nephews. Visitation will be Monday, September 17th from 9:00 to 10:45 a.m. at the Toedtmann & Grosse Funeral Home, Hermann. A funeral Mass will follow at 11:00 a.m. at St. George Church, Hermann. Burial will be at the church cemetery, with full military honors. Memorials may be made to St. George Church or the 10th Mountain Division Association, Inc., 8199 Pinewoods Rd., Houghton, NY 14744. C/O Toedtmann & Grosse Funeral Home.